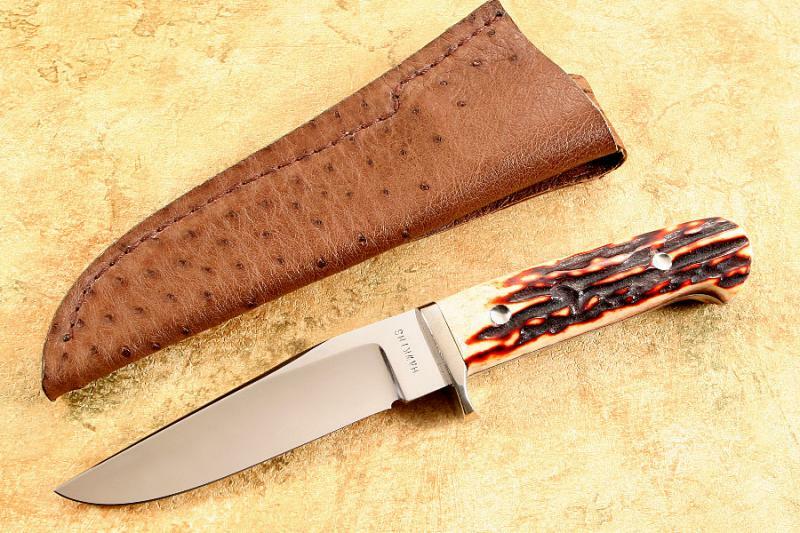 This is a premium amber stag fixed blade fighter/hunter. It comes with a custom ostrich skin sheath. This will make a great knife for a personal collection or dress user.